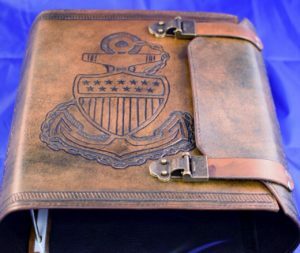 Every Coast Guard Chief needs a hand-made, leather-bound Charge Book. 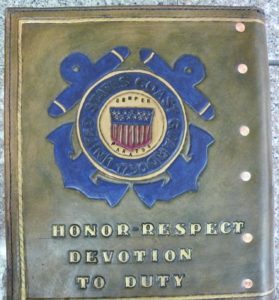 One of the requirements is to prepare a Chief’s Charge Book–“A decorative binder used to collect pieces of memorabilia relating to CCTI. The major emphasis of the Charge book is to collect “Charges” or “Words of Wisdom” from other chief petty officers that add value and meaning for the new chief petty officer. Charges and comments should be instructive and encouraging. 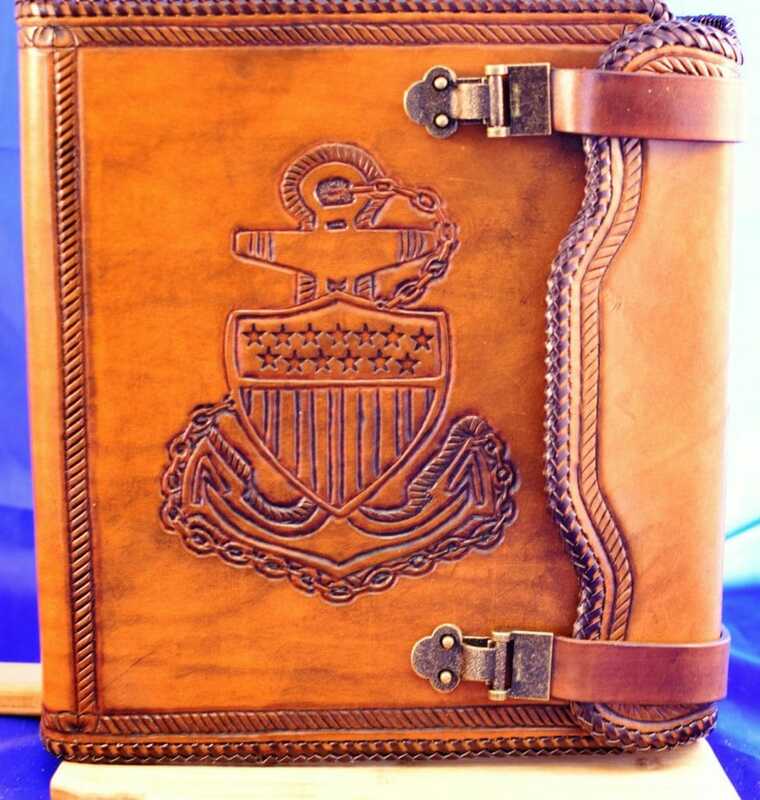 The Charge book should be a keepsake that the chief would be proud to display in future years. 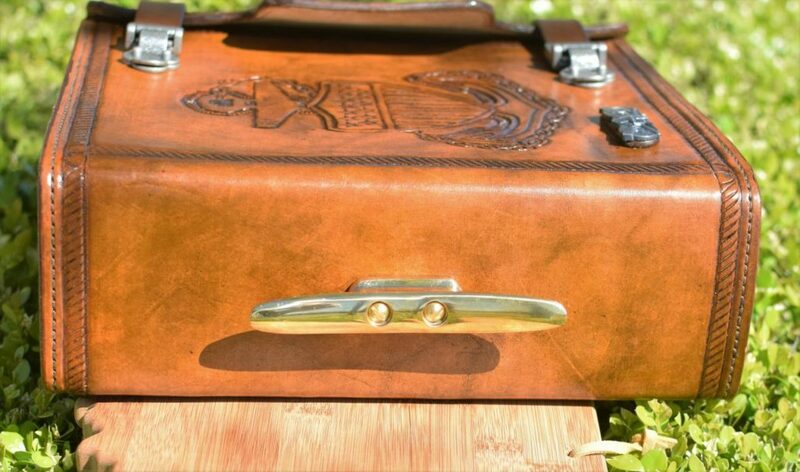 ” It is my privilege to assist in this process by making these binders. 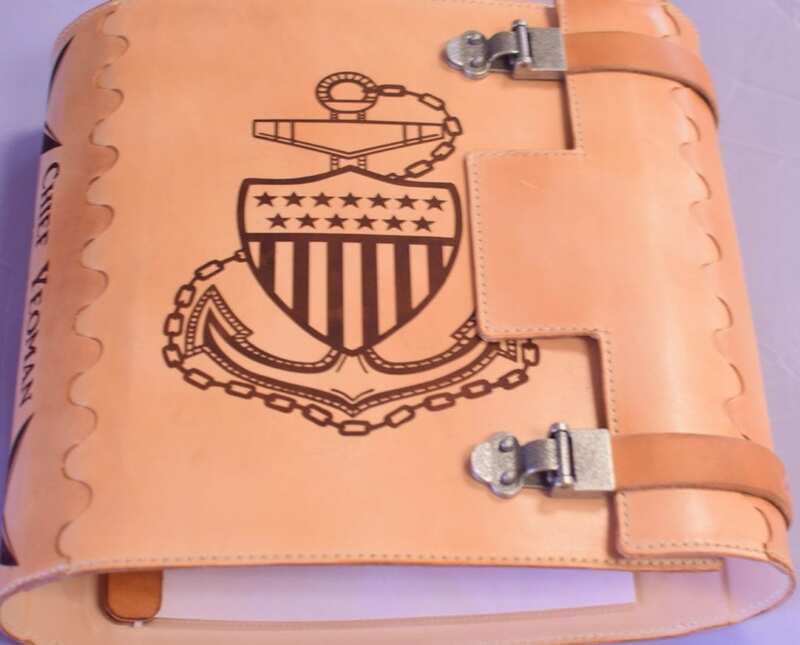 Hand-crafted from scratch in the U.S.A.
2) Basic three-piece (front, back and spine are separate pieces of leather), three sided binder folding at the side; (these can be laser engraved as well as tooled). In the past, the three pieces have been sewn together. They are now attached with a seam or welt that is variously called a “Reynolds Seam/Welt” or a “Marshal Seam/Welt” or a “Frog-Toes Seam/Welt” (see picture below). 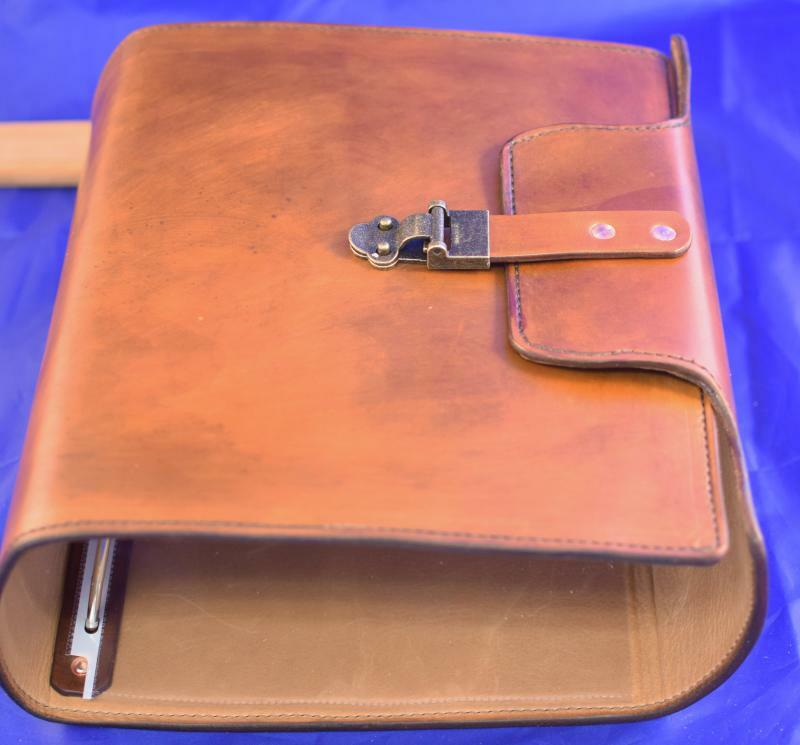 4) Single piece folder wtih closure flap and two straps with closures. 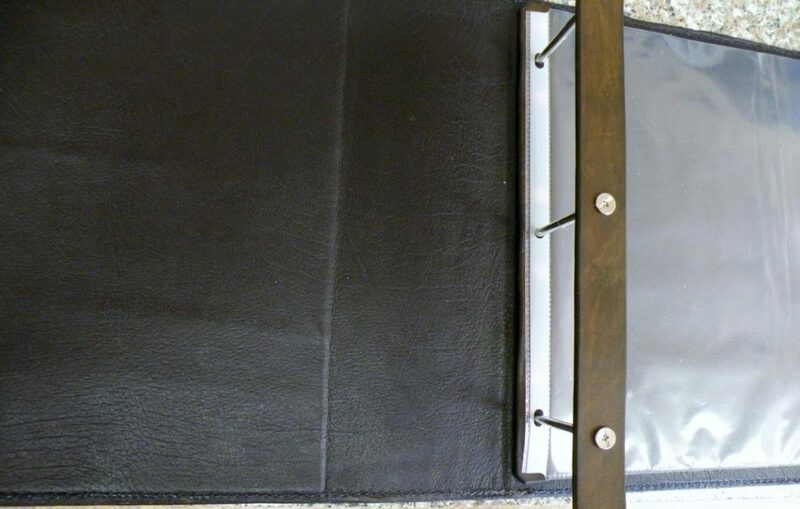 For holding the paper and materials assembled in the binder, I use scrap-booking posts rather than ring mechanisms. 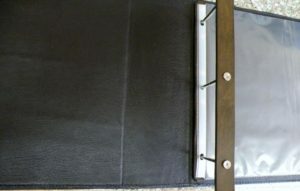 MOVING FORWARD in order to serve more of you, the default configuration for the Charge Books I make will be the multi-piece books using the Reynolds Seams (picture above right). I will be able to make one piece Charge Books, but doing so will involve a $50 surcharge. Standard thicknesses (amount of material held) will be 3″, 4″, or 5″. Other thicknesses will be possible, but will incur a surcharge. 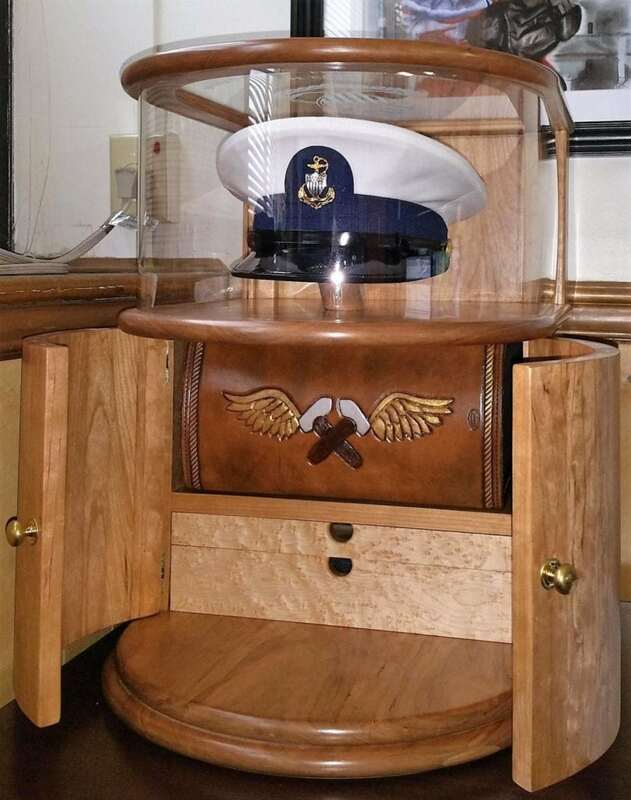 All other options remain the same, and the decorations/designs are fully customizable. 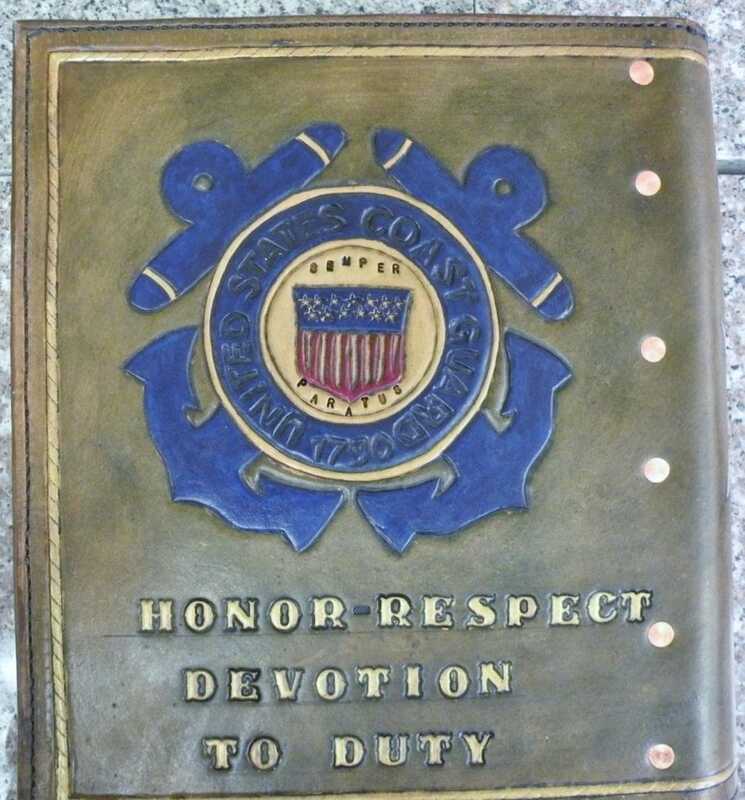 The binders can be done in “full color” (gold and silver on the Chief’s Anchor; Blue and Red on the Coast Guard shield; gold rope and lettering; etc. with a medium brown antique) or in a single color of your choice (typically medium or dark brown antique, but others are possible, including a simple oil and seal finish resulting in a “honey” color). The “full color” treatment is more expensive. 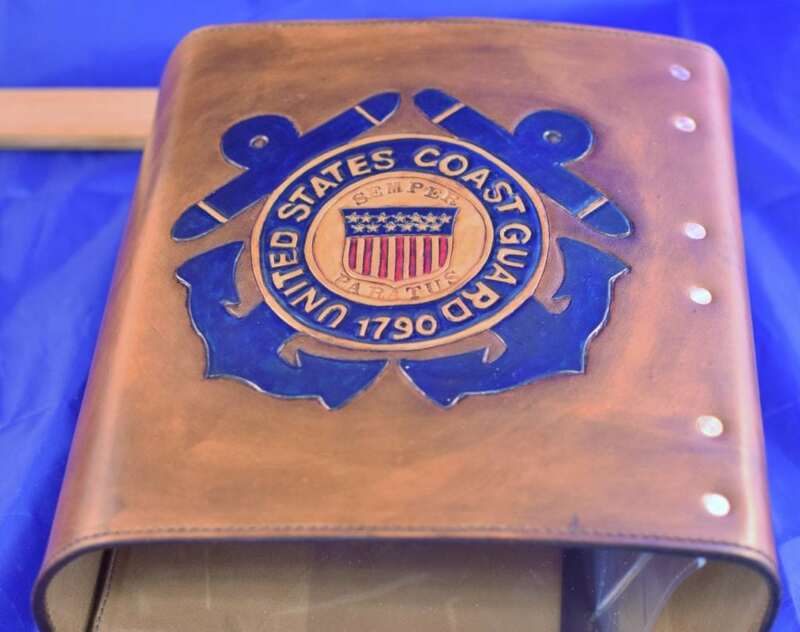 I also have painted or non-painted metalic conchos with the Coast Guard Shield that can be added to Charge Book or used to top snaps, as well as Leather Rosettes that have been stamped with Coast Guard Shield. The stamp of the shield can also be used separately. 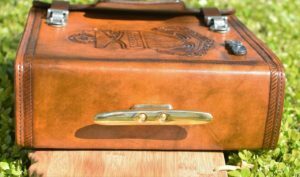 Another option is to go with a laser engraved Charge Book, or an engraved Charge Book with a tooled border as shown below. These have to be done in three sections (to be able to fit the leather in the laser), but it is still possible to have a flap and strap closure arrangement. It is also restricted to a single color. This shows the three pieces sewn together. This option is handy since it can be completed more quickly. a) Side or Top Fold? b) Closure Flap with Straps? Strap(s) only? Belt with Sam Brown Button? c) How many Straps/Belts? What closure mechanism do you want to use? The hook and latch mechanisms shown in the pictures have been discontinued. Read about your options here. 4) Do you want the edges sewn or laced? 5) Full Color Treatment or a single color? What color(s)? 6) Add Coast Guard Conchos or Rosettes? which and how many? 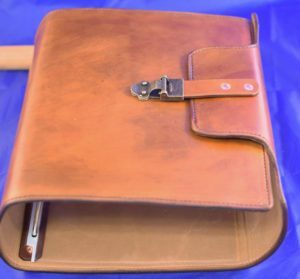 7) What design/tooling do you want on your Charge Book? 8) Anything else you think I should know.